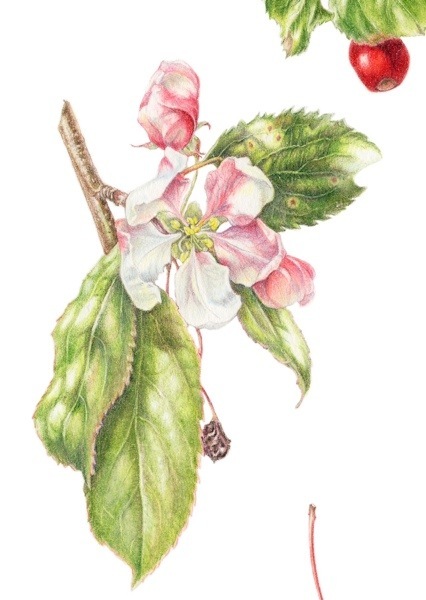 I am on the last steps towards finishing the RHS crabapple paintings. Except for additional research for the Malus Red Jade information labelling, I have finished the actual painting and colour matching for prints. I will give you a glimpse at the end of this blog. Unfortunately I won’t get much work done on the next painting tomorrow as I am teaching my weekly class in the morning. But as much time as possible is now spent on these botanical paintings. Thank you David. I hope that you will enjoy the new bits I put on as I finish the six pictures. Thank you Jane. Ill try And Get in touch tomorrow.